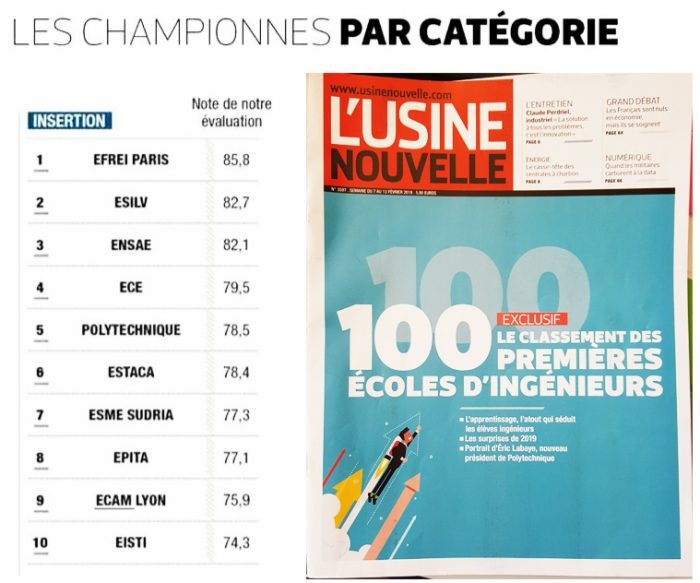 In February 2019, Usine Nouvelle magazine published its survey of France’s top engineering schools. Confirming its climb in the overall ranking, ECAM Lyon is in particular among the top 10 schools in the “Job Prospects” category. According to the Jobs survey carried out among the latest graduating class of the ECAM Arts et Métiers general engineering program, 99% of recent graduates found their first job in less than 4 months (including 56% who found it even before graduating). Every year, ECAM Lyon takes part in the labor market survey by the Conférence des Grandes Ecoles (CGE). This survey is conducted among the last 3 graduating classes at France’s grande école higher education institutes, all fields combined. It is carried out in the first quarter of the year and based on graduates’ answers to a series of questions on various topics, including their work situation (employed, continuing their studies, etc. ), their business sector, their job, their salary, the time it took them to find a job, the location of their job, the type of contract and more. Recruitment firms and the media use these results to create surveys and rankings. Find out more about the ECAM Lyon 2018 Job Survey (in French). Founded by request of industrial firms, ECAM Lyon has always developed close relationships with companies. These companies particularly like ECAM engineers’ general-purpose approach, their cutting-edge technical skills and the human values they embody. “ECAM Lyon’s engineering students are easy to talk to, pleasant, hard-working and really involved in what they do,” says Anne-Laure Pajou, Recruitment Manager at the Volvo Group. This human dimension is a cornerstone of all training programs at ECAM Lyon. Part of the Lasallian educational tradition, the School places students at the heart of its teaching, promoting openness, cohesion and solidarity. The figures speak for themselves: engineers are in very high demand! According to a survey run by French magazines Cadremploi and Le Figaro, 42,366 recent graduates will be hired in 2019 (up from 39,345 in 2018), mainly in the engineering field. This means stiff competition for companies seeking to hire skilled engineers in various business sectors. The NGE Group recently presented its internship and career opportunities to ECAM engineering students. Beyond the strong results in school rankings, ECAM Lyon’s staff supports its students every day in building their career project, up to helping them find their first job. To help put students in touch with recruiters, the School offers a number of events to meet them. From career evenings to networking lunches to innovation challenges and more, a variety of get-togethers regularly bring companies onto the campus. Alongside this, a First Job service provides individual support for students who are seeking internships or jobs, based on their specific needs. This may include advice on their CV or cover letter, preparing an interview and debriefing, coaching to gain self-confidence and more. 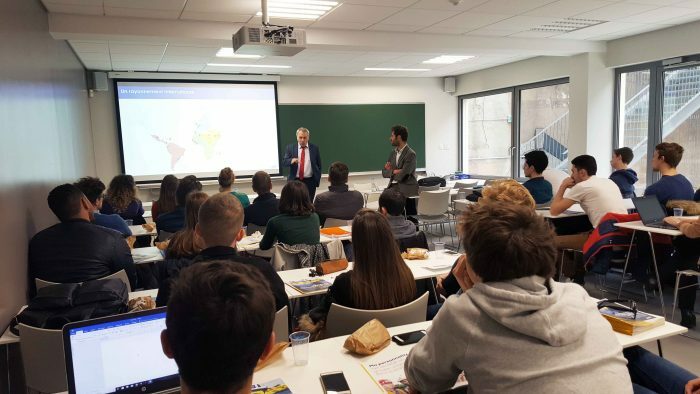 “Often, we just give our graduates a little help and, feeling more confident, they quickly transition to working life, at a company and in a position they have chosen,” explains Christiane Lobert, head of ECAM Lyon’s First Job service. Learn more about our company relations program.